British Prince Harry who often remains in news for his controversies and scandals has once again made a shocking statement after returning home from Afghanistan that he killed Muslims to protect his own people. 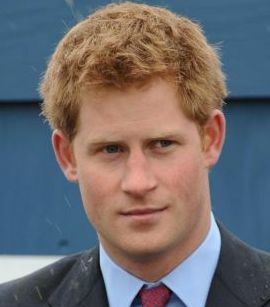 Harry has served as co-pilot gunner in Afghanistan for sometime after which he has returned to Britain. few days ago he compared killing someone from helicopter to playing action video games and now he has made another shocking statement about killing Muslims. After his controversial statements Prince harry is facing criticism from people of different fields of society like Journalists, Bloggers, analysts. they have declared statement of Harry childish and dangerous. Spokesman of Afghan Taliban Zabiullah Mujahid has said that Harry is a mental case that is why he is making such statement of comparing killing someone with playing video games.